What's the Weirdest Book You've Ever Read? How often do you read outside of SF/F? To ask a question or to see if I'd review a book send a message to madhatterreview (at) gmail (dot) com. Please note I will not consider self-published, vanity, or ebook editions at this time. Mad Hatter's Bookshelf & Book Review routinely receives books from Publishers and Authors for review consideration. When in doubt assume the book comes from a Publisher or if you follow my New Procurement posts I usually describe the source of said book. I still buy a lot of books as well. Fifteen years from now, a new virus sweeps the globe. 95% of those afflicted experience nothing worse than fever and headaches. Four percent suffer acute meningitis, creating the largest medical crisis in history. And one percent find themselves “locked in”—fully awake and aware, but unable to move or respond to stimulus. One per cent doesn't seem like a lot. But in the United States, that's 1.7 million people “locked in”...including the President's wife and daughter. Spurred by grief and the sheer magnitude of the suffering, America undertakes a massive scientific initiative. Nothing can restore the ability to control their own bodies to the locked in. But then two new technologies emerge. One is a virtual-reality environment, “The Agora,” in which the locked-in can interact with other humans, both locked-in and not. The other is the discovery that a few rare individuals have brains that are receptive to being controlled by others, meaning that from time to time, those who are locked in can “ride” these people and use their bodies as if they were their own. 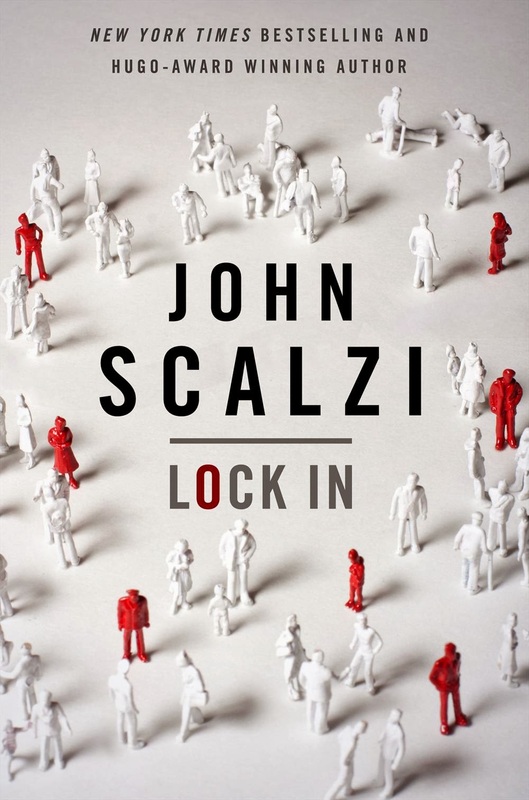 I'm not sure if the cover is final, but currently it seems a little bland for a Scalzi cover though it moves him into the clean look that has become so popular for many best-selling authors. 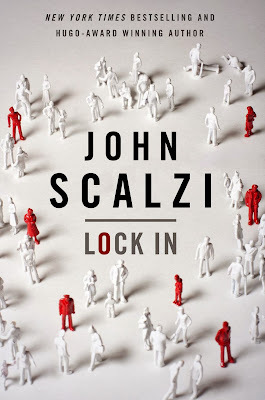 Lock In should be out in late August, but it should be noted Scalzi is still currently writing the manuscript. © 2010 . Tinkered with by The Mad Hatter Masthead Design by Digi Dog Design Adapted to Blogger by Zona Cerebral, design by Arcsin Web Templates.